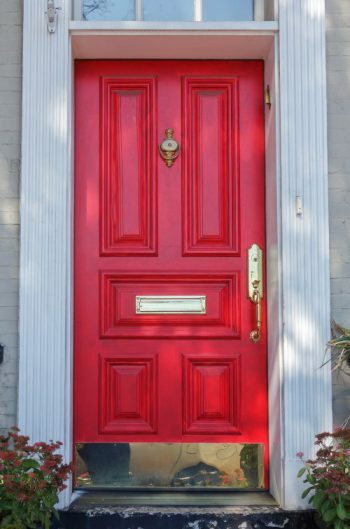 Kick Plates are a great way to add functional beauty and a finishing touch to any door. 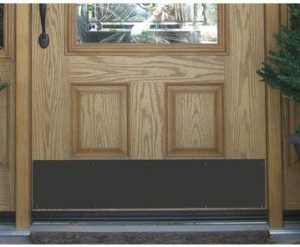 A kick plate is simply stated a metal, wood, or plastic guard used to protect the bottom of the door when the door is kicked open. Commer cial uses include kitchen doors in restaurants where servers have their hands full and have to kick the door open and in industrial settings. Kick plates are found on doors in high-traffic areas including commercial and government buildings, day cares, schools, and churches. Van Dyke’s offers several styles of brass kick plates with more models coming soon. The Brass Accents kick plates are offered in nine finishes to complement any decor including Weathered Black, Satin Nickel, Dark Bronze, PVD Brass, Satin Stainless Steel, Polished Brass, Antique Brass, Polished Stainless Steel, and Weathered Rust. Van Dyke’s offers three different mounting options: screw-mount, magnetic, or adhesive, as well as “custom” size options. For a rugged look, Van Dyke’s offers a Black steel plate with textured finish from Acorn Manufacturing. 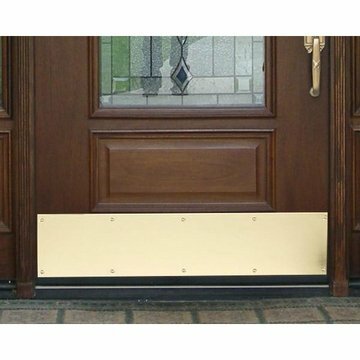 To determine the right size kick plate for your door, measure the door width and subtract two inches. For example, for a 36” door, order a plate 34” wide. This assures clearance for weather stripping or molding. Plates are offered in widths from 28” to 40”. Next, measure from the bottom of the door to the top of the first decorative panel and subtract one inch for clearance. Standar d kick plates are usually 6” or 8” tall. Kick plates are shipped in protective packaging. Unpack the box and remove the protective clear plastic covering on the plate. Plates come with screws and predrilled holes. Simply align the plate to the door and screw into place. An adhesive backing is also available as well as a magnetic model for metal doors. View the videos below for a guide to measuring and installation tips.